Are you looking for an Inmate or someone who is currently incarcerated in Arizona State? There are several different places that someone who has been arrested and is currently in custody in the State of Arizona could be. The jail that the inmate is housed in will be affected in large part about what agency is holding the inmate. Each State has a system of Prisons. Often, the State Prisons will house inmates with longer sentences, often due to a Felony Conviction. Within each state, the various counties have their own jails for holding people who are on trial, or who are charged and/or convicted of lesser offenses & Misdemeanors. If you can not find an inmate & he or she has an attorney, often the attorney/lawyer is a great resource for locating a prisoner. The State Prison System in Arizona is run by the Arizona Department of Corrections. According to the AZ DOC webpage, the Arizona Inmate Data Search database contains 12,000 inmate records including approximately 26,000 records of active inmates& recompiled weekly. You can get help from the AZ DOC on using their Inmate Data Search by clicking on their help page. Female Prisoners in Arizona DOC custody are housed at the ASPC-Perryville Prison. The Arizona Judicial Branch website can be found online and provides Arizona Court information. For More information on Arizona Courts Click Here. Information regarding cases in various Arizona Courts is available online. Apache County, Arizona – Find Someone in Jail in Apache County. Click to Search for someone in jail in Apache County Arizona. The Apache County Sheriff has a website that will allow you to get information about people arrested in Apache County. If you want information about someone in Jail in the Apache County Jail, Click Here. There are four Justice Courts in Apache County. Justice Courts in Apache County Arizona handle civil lawsuits where the amount in dispute is $10,000 or less, landlord and tenant controversies, small claims cases and the full range of civil and criminal traffic offenses, including DUIs. Judges in these Courts are called Justices of the Peace. The Cochise County Sheriff maintains a list of people arrested in Cochise County. You can find someone arrested in Cochise County. The Gila County Sheriff‘s website can provide helpful information to those looking for someone arrested in Gila County Arizona. You can also find information about inmates in Gila County, as well as information about the Gila County Jail. Gila County Inmate Visitation Information is available online. Gila County Inmate Mail Information is available online. Information about Inmates in Gila County Jail is available online. ATTORNEY ADVERTISING This web site may be considered advertising in some jurisdictions under the applicable law and ethical rules. Oeser-Sweat, P.C. does not offer any guarantee of case results. Prior results do not guarantee a similar outcome. THIS WEBSITE IS FOR INFORMATIONAL PURPOSES AND IS IN NO WAY INTENDED TO PROVIDE LEGAL ADVICE OR CREATE AN ATTORNEY CLIENT RELATIONSHIP. OESER-SWEAT, P.C. is not licensed to represent individuals in the State of Arizona. This site is not in anyway affiliated with any federal, state or governmental department or entity. This site is provided to give information to the general public and is not intended to constitute legal advice. Please consult your lawyer for legal advice. Are you looking to find someone arrested in Harris County? Are you looking to find an inmate in Harris County? If so, then the Harris County Sheriff’s Office has resources that may be useful in your Harris County inmate search. The Harris County Inmate Lookup system/Harris county inmate finder is located on the Sheriff’s website. The Harris county sheriffs inmate search is a good start for someone trying to find someone arrested in Harris County. While it is limited to inmates in Harris county rather than providing an inmate search in Texas Prisons in all counties, the Harris County Sheriff inmate search system is a great resource. CLICK HERE to find a vehicle towed in Houston – Find a car towed in Houston Texas or call Wrecker Tow Line at 713-308-8580. If you are looking for information regarding your next court date in Harris County Court or for any other court related information, you can Check out the TEXAS Courts online page. For More information about HARRIS COUNTY courts online, CLICK HERE. CLICK HERE to go to the Harris County Criminal Courts at Law. CLICK HERE to go to the Harris County office of the District Attorney website. If you are looking for someone who was arrested in Houston, Texas, you may wish to contact the Houston Police Department. Another way to search for someone who was arrested in Houston is to use the Houston Police Department Jail Public Information Inquiry System. Calling Houston the Help Line at 713-837-0311 is also a way to find out if someone is in a Houston Jail. Prisoners in Houston Jails are often either in the Central or Southeast Jails. Disclaimer: CentralBooking.info is an independent, privately owned source geared towards assisting people seeking to obtain information about the legal system, court systems, prisons, jails, and seeking to locate people who have been arrested. This site is not in any way connected with any federal, state and/or local government agency. This site is not an attempt to provide any person or entity with legal advice. Please consult a lawyer if you are seeking legal advice. The Texas, Houston & Harris Courts sites are run by various governmental entities. This site is not affiliated with those entities and simply provides information to the public. Harris County Texas includes the Houston, Sugar Land, and Baytown areas. It is one of the largest metropolitan areas in the United States. For more information on Harris County, check out Wikipedia. ATTORNEY ADVERTISING This web site may be considered advertising in some jurisdictions under the applicable law and ethical rules. Oeser-Sweat, P.C. does not offer any guarantee of case results. Prior results do not guarantee a similar outcome. THIS WEBSITE IS FOR INFORMATIONAL PURPOSES AND IS IN NO WAY INTENDED TO PROVIDE LEGAL ADVICE OR CREATE AN ATTORNEY CLIENT RELATIONSHIP. OESER-SWEAT, P.C. is not licensed to represent individuals in the State of TEXAS. This site is not in anyway affiliated with any federal, state or governmental department or entity. This site is provided to give information to the general public and is not intended to constitute legal advice. Please consult your lawyer for legal advice. Are you looking for an Inmate or someone who is currently incarcerated in New Jersey? Are you looking for an Inmate or someone who is currently incarcerated in New Jersey? There are several different places that someone who has been arrested and is currently in custody in New Jersey could be. The jail that the inmate is housed in will be affected in large part about what agency is holding the inmate. Each State/Commonwealth has a system of Prisons. Often, the State Prisons will house inmates with longer sentences, often due to a Felony Conviction. Within each state, the various counties have their own jails for holding people who are on trial, or who are charged and/or convicted of lesser offenses & Misdemeanors. If you can not find an inmate & he or she has an attorney, often the attorney/lawyer is a great resource for locating a prisoner. The State Prison System in New Jersey is run by the New Jersey Department of Corrections (NJDOC). New Jersey State Prison Inmates can be found through the New Jersey Department of Corrections (NJDOC) webpage. New Jersey Corrections provides inmate lookup and offender info as well as other jail locator & prison locator services. *Bail Bonds are usually set by the individual Court in which the defendant has been arraigned. Please consult your attorney or nj bail bondsman for more information regarding bail. Are you looking for an Inmate or someone who is currently incarcerated in Westchester New York? Are you looking for an Inmate or someone who is currently incarcerated in Westchester County? There are several different places that someone who has been arrested and is currently in custody in Westchester could be. The jail that the inmate is housed in will be affected in large part about what agency is holding the inmate. Each State/Commonwealth has a system of Prisons. Often, the State Prisons will house inmates with longer sentences, often due to a Felony Conviction. Within each state, the various counties have their own jails for holding people who are on trial, or who are charged and/or convicted of lesser offenses & Misdemeanors. 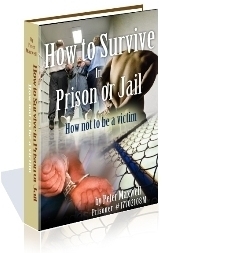 If you can not find an inmate & he or she has an attorney, often the attorney/lawyer is a great resource for locating a prisoner. The County Prison System in Westchester is run by the Westchester County Department of Correction (WCDOC). For additional information, contact the Westchester County Department of Correction at (914) 231-1000. If you are looking for information on posting bail in Westchester County and/or trying to bail an inmate out of jail in Westchester, you should first visit the Westchester County Department of Correction webpage to view information on Bail and Posting Bail in Westchester. Bail can be posted in person 24 hours a day, seven days a week at the Westchester County Jail, located in Valhalla, New York which is near the Westchester Medical Center. Use the Eastview exit Route 100C off the Sprain Brook Parkway. The address you should use for mapping purposes is: 10 Woods Road, Valhalla, New York. There is a visitor’s parking lot near Grasslands Road. You can enter the jail at the entrance gate (Post 1). Inform the officers that you wish to Post Bail. Only one person will be allowed to enter to post bail. You will need valid government issued ID and your address on the identification must be current and not be a P.O. Box. Cash or a Credit Card(other forms of bail like a bail bond must be done at the court of record. 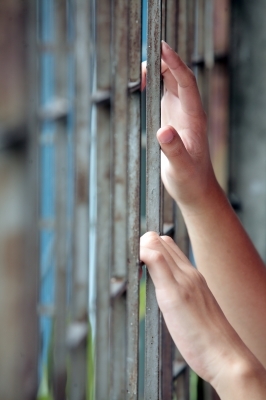 You must be 18 years of age or older to post bail in person in Westchester County. Only United States Currency is accepted (if paying in cash). Credit cards are accepted (VISA, Master Card, Discover or American Express), but only for the first twenty thousand dollars ($20,000). If the bail exceeds $20,000, then case must be posted to cover the remainder of the bail. If you use a credit card, you will be paying through a third party company (GOVPAYEXP) and there are credit card fees charged by that company which will apply to your transaction. The Cardholder (person whose name appears on the Visa, Mastercard &/or American Express Card, must be present at the time of the transaction. The credit card must be presented and must be a valid card. The Cardholder must have valid government issued ID as set forth above. Remember: Bail only applies to the current case in Westchester county. If the person has other active cases, warrants or holds, posting bail may not result in the person’s release from jail. There will be a check for such situations by the Department of Corrections. These situations and some others may delay or prevent an inmate’s release from jail in Westchester County. *THIS SITE MAY BE CONSIDERED ATTORNEY ADVERTISING IN CERTAIN JURISDICTIONS* THIS SITE WAS CREATED BY A CRIMINAL LAW ATTORNEY & NOT BY THE COURT. WWW.CENTRALBOOKING.INFO is run by a criminal attorney. We have tried to compile information helpful to those who have had a friend or loved one arrested in New York City. This site however, IS NOT RUN BY THE COURTS, OR ANY GOVERNMENT AGENCY. We have tried throughout the site to help the General Public and our clients navigate the arraignment, central booking and arrest process by providing what we believe is information that will be helpful. The arraignment clerk’s in each county court have information regarding when a person who has been arrested may see a Judge. They are very busy. Often, they not only do the work they have in the office, they also have to answer the phone. Sometimes there are 1-2 clerks answering the phones for the whole county. This means that it may be difficult to get through to find out if someone has been arrested, what someone has been charged with, or when the person may see a Judge in Court. Please be patient. The arraignment Clerk in each county is the best way to find someone arrested in New York City. Please remember that the clerk might not have information on someone arrested in New York until that person is transported from the police precinct or put into the computer system. Sometimes, someone arrested in New York City is not immediately taken to central booking.